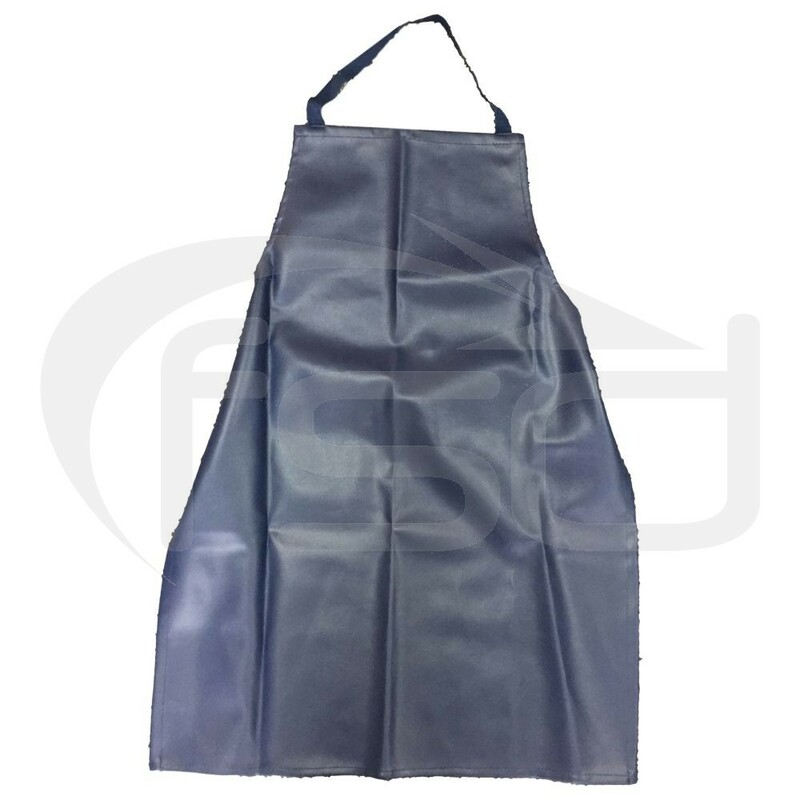 Junior apron in navy leather-look PVC. Length between hem and top of the bib is 80cm. Some pen marks on the back.